Click on the age your child will be for more details on our services and prices. click the video to see a party in action. 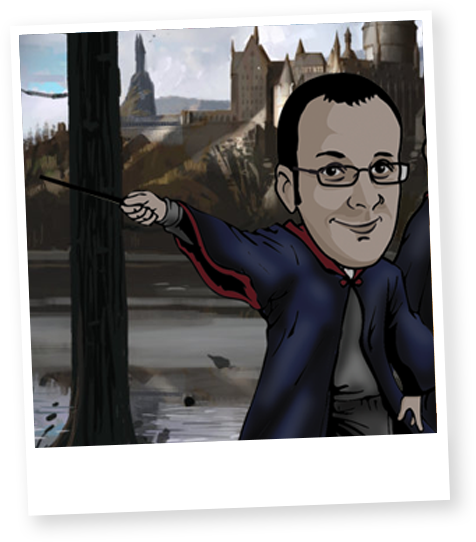 Allansmagic are FULL TIME professional children’s entertainers and guarantee your party will be the BEST EVER and one that children will be talking about for a long time after. 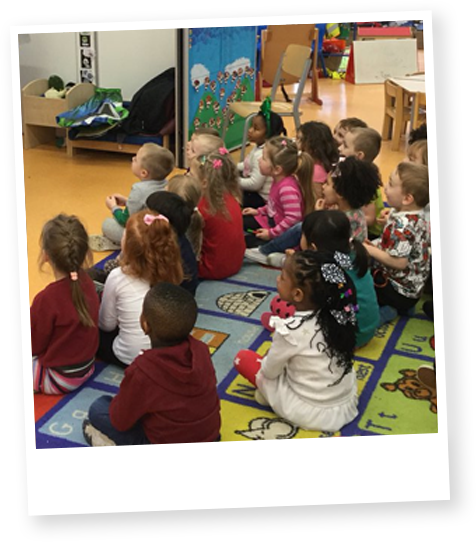 For 3-4 year old’s we have our 40 minute nursery show. A fun-filled interactive show for the younger kids. Magic, puppets and lots of visual gags that will keep them smiling long after the party. The party starts with a 15 minute mini disco. This adds more of the WOW factor and party atmosphere as the children arrive. This is followed by a 60 minute show which includes some of our unique tricks that has won the prestigious SCOTTISH CHILDREN'S ENTERTAINER of the YEAR. Both shows are packed with with loads of Fun, Dancing, Games and of course Heaps & Heaps of MAGIC with the birthday child performing a magic trick at the end and being the star of show. We include a P.A & sound system for the music and games so it is suitable for a hall or larger venue. Our games have been re-engineered to keep all the kids “in” making sure nobody is left out. We also supply all the small prizes as well ! If the party is in your home then a 45 minute version is available at a reduced price, please contact for more details. 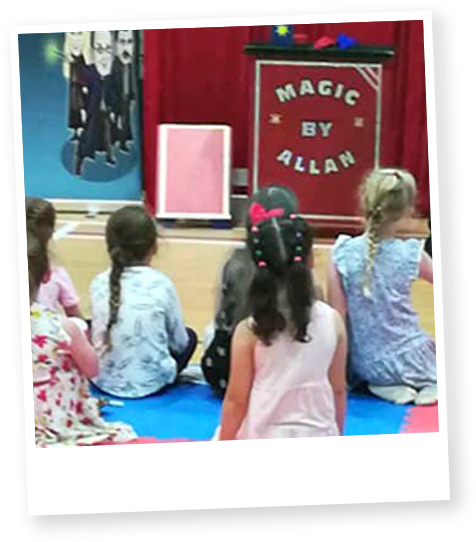 Close up or street magic is very popular at the moment with older children so Allansmagic have developed our very own WIZARD SCHOOL. Our one hour WIZARD SCHOOL is a fun packed way for them to learn some really cool magic tricks to impress their friends and relatives. The birthday child also receives a special pack of tricks so they can perform the magic as soon as I leave. Due to the nature of the workshop, it is ideally suited for up to 15 children to ensure the tuition is passed on properly. All we need is a table and chairs.